*This is a sponsored post, but as always our opinions and experiences are our own! 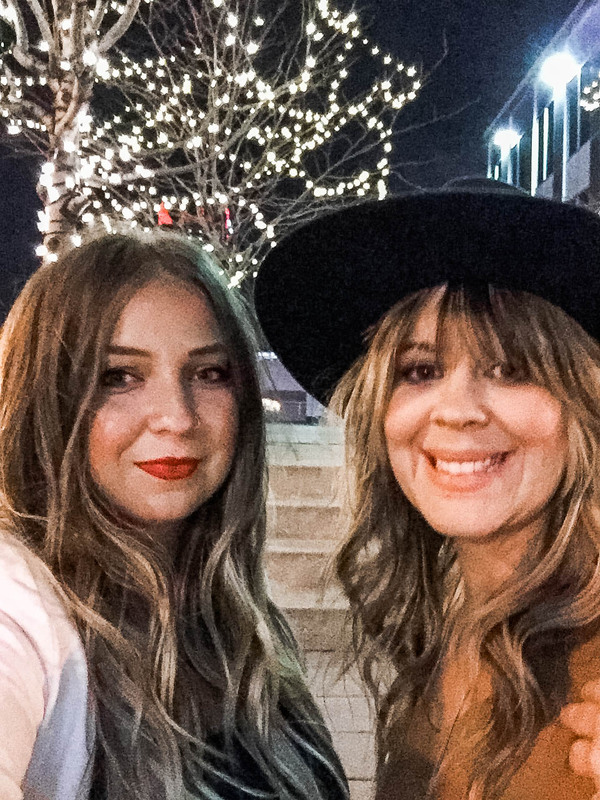 Casey and I love a good girl's night out, but don't do it as often as we should. Every now and then we will have friends over for some wine or games (or both), but it is nice to dress up and head out on the town. 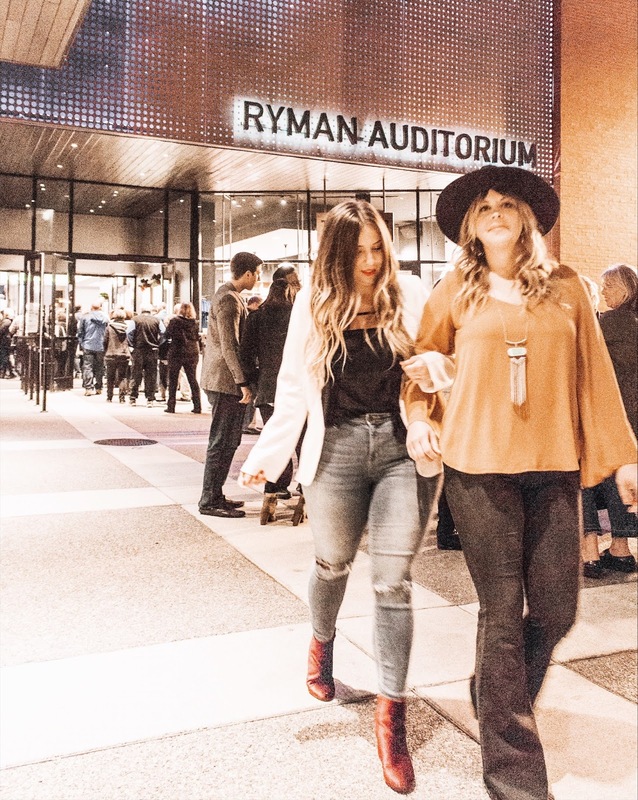 So last week Casey and I headed to dinner at Cafe Lula and The Opry at the Ryman. 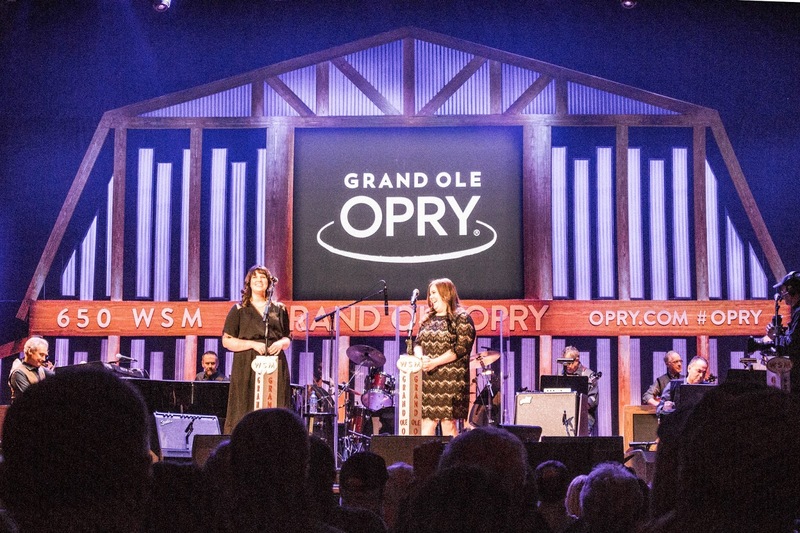 If you live in Nashville, or anywhere really, I'm sure you've heard of The Opry and some of it's history. A while ago Casey and I actually got the chance to take a tour of the Ryman, which is where the Opry was from 1943-1974. We loved learning about the culture, the history and all the legends who have been apart of the show. Every winter the show comes back to the Ryman, so that's where we saw the show this time. 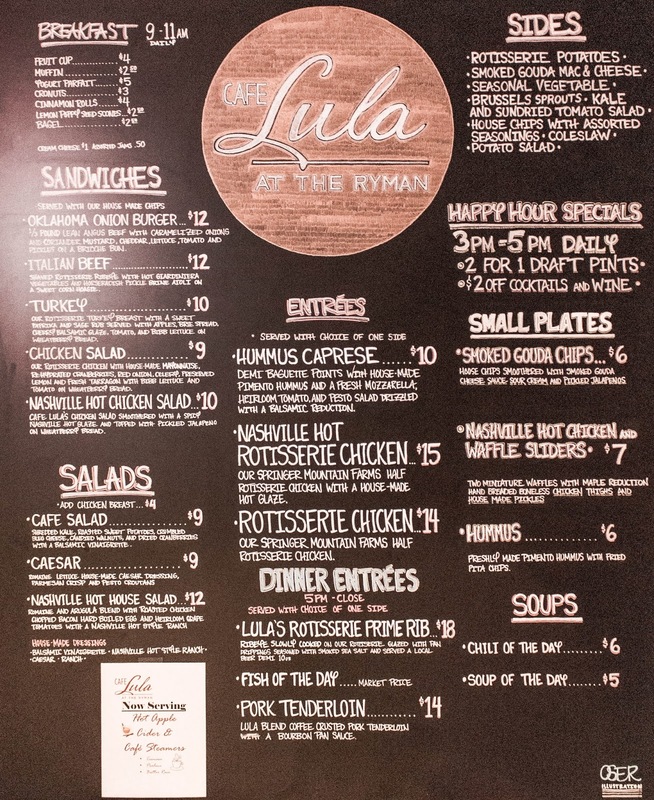 If you haven't been to the Ryman recently, you may not know that they opened an attached restaurant called Cafe Lula. We grabbed a bite before the show, and I say grab because they were so fast! Three of us ate and one of us had hot chocolate. Between the three of us we ordered a Nashville Hot House Salad, Pork Tenderloin, and Lula's Rotisserie Prime Rib. All of our dishes were amazing and I'm not just saying that! Casey had the rotisserie potatoes as a side and they were melt in your mouth good. I always love trying different versions of Nashville Hot Chicken which is why I got the salad. Next time I plan on trying to Nashville Hot Rotisserie Chicken- yum! If you get a chance to eat here, I highly recommend it. Even if you are just hanging out downtown. The ambiance is lovely and the space is well designed. 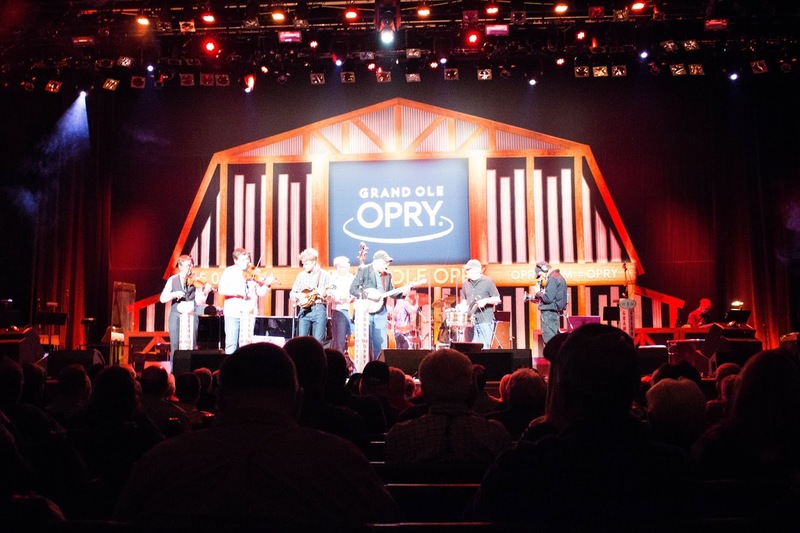 I will add that if you are attending the Opry show, give yourself adequate time to eat. The place is really popular right before showtime. Even though we didn't know many of the people performing, we were very excited for the show. There is something nostalgic about it even if you've never been. It takes you back to another time when you sit and hear great musicians (seriously, they are all amazing) and hear LIVE commercials and interact with the performers. I ended up hearing songs that I hadn't heard in years, but had loved at one time. I think Casey and I both walked away with a new appreciation for country music and all it's history and ties to Nashville, our beloved city. My favorite part of the show was when these guys played a song called "The Note". They announced their song title and then proceeded to play one note. Literally. The night that we went, there were two shows. We went to the early show so we could make sure we'd well awake for the fun. But if you are a late night person, the late show would be perfect for you! We snapped this photo as they were pushing us out so you night owls could come in. 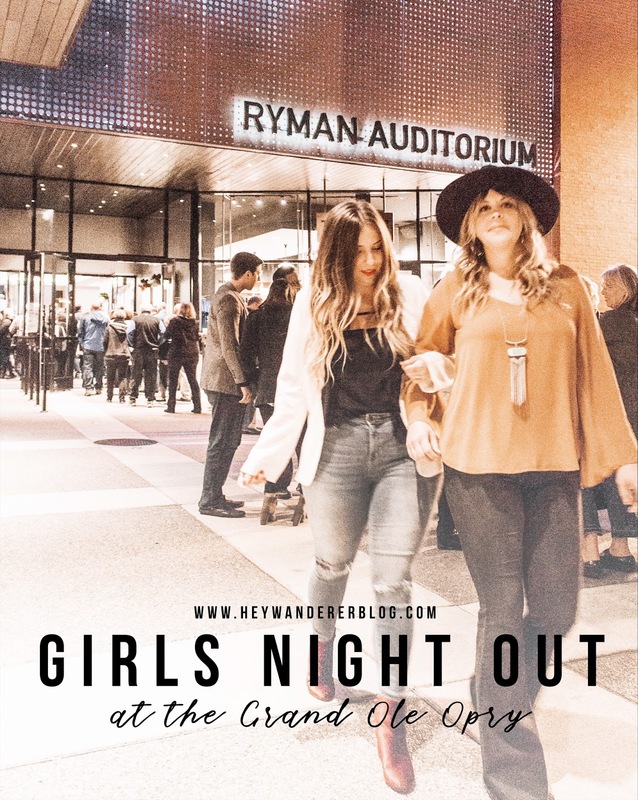 If you are looking for something fun and local to do with your girlfriends, definitely consider the Grand Ole Opry! If you happen to go when it's at the Ryman, make sure you grab a bite at Cafe Lula beforehand and then you can pop into Robert's (our favorite downtown honky tonk) afterward. You can see a list of upcoming shows here.